It’s well established that North America’s first settlers migrated from Siberia into Alaska prior to the end of the last Ice Age via an ancient land bridge known as Beringia (actually, the term “bridge” is a bit of a misnomer as Beringia was a sizeable landmass measuring 620 miles (1,0000 km) at its widest extent and encompassing an area as large as the Canadian provinces of British Columbia and Alberta combined; those humans living and venturing across this landmass would hardly think of it as a “bridge”). But scientists aren’t sure if there was a single founding group or several, or when the migration actually happened. 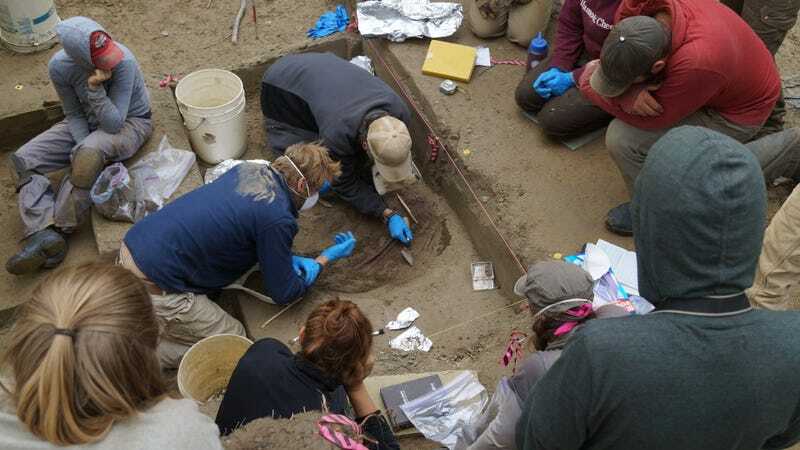 The remains of two human infants, found at the Upward Sun River (USR) site in the Alaskan interior, are changing what we know of this important period in human history. 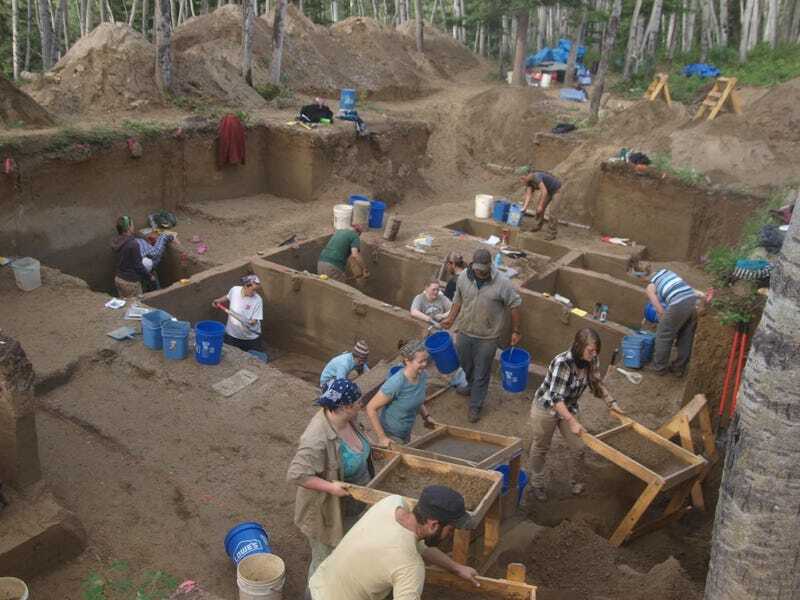 The researchers who conducted the genetic analysis, which involved teams from the University of Cambridge, the University of Copenhagen, and the University of Alaska Fairbanks, were fully expecting the USR DNA to match the genetic profiles of other northern Native American people—but it matched no other known ancient population, not even the two recognised branches of early indigenous peoples, known as Northern and Southern. It also didn’t match any contemporary human populations. Genetic analysis showed that these Ancient Beringians were more closely related to early Native Americans than their Asian and Eurasian ancestors. Even though the DNA extracted from the second infant wasn’t able to produce a full genome for analysis, the researchers were able to determine that the two girls belonged to the same population. The genetic analysis, combined with computer-based population modelling, allowed the researchers to conclude that a single founding ancestral indigenous American group split from East Asians around 35,000 years ago. Then, around 20,000 years ago, this group split into two groups: the ancestors of all Native Americans, and the Ancient Beringians.